Dr. Raymond Stroup is a chiropractic doctor with over 15 years of experience helping patients with neuromusculoskeletal pain conditions. Dr. Stroup has extensive experience in auto accident injuries and has completed several post-graduate courses related to this area of practice. Beyond injuries, he has helped patients attain their wellness goals through chiropractic, exercise, and lifestyle changes. Before moving to Washington, Dr. Stroup practiced in Illinois and in South Carolina, where he established his own practice and built the area’s first multidisciplinary group of experts. This team consisted of primary care providers, an interventional pain physician, and several chiropractic physicians. Dr. Stroup has brought his patient-first, multidisciplinary team approach for healthcare to our group to help us serve our patients better. 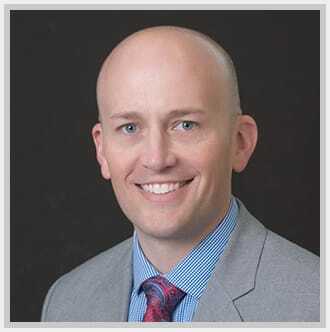 In his spare time, Dr. Stroup enjoys playing golf, basketball, being outdoors, and being involved in his local church.